Shut down twice by the city government over the past two decades, 81 Bowery is still popular for the poorest Chinese laborers in New York City. The 40 roofless cubicles on its fourth floor are where the residents call home. 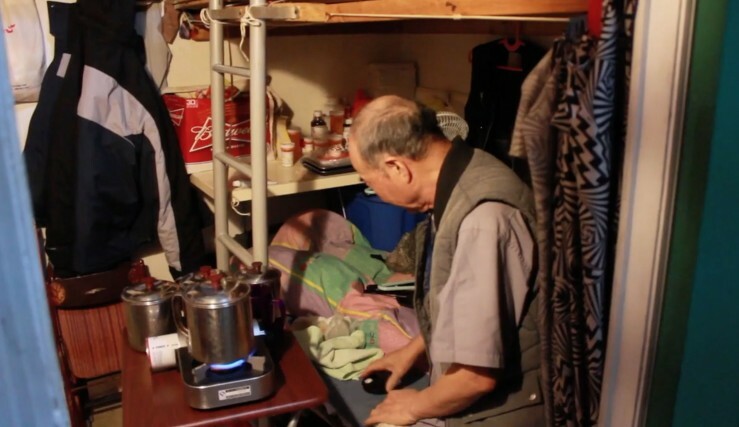 Eighty-one-year-old Liu, or “Grandpa Liu”, as other tenants call him, has been living here for two months. He shares a cubicle with another man and pays $195 per month for rent. For him, moving around is the norm. Chinese are the second most undocumented immigrants in the country. 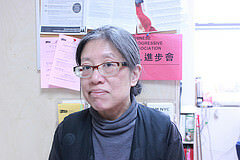 Mae Lee, the executive director of Chinese Progressive Association, said that many of the houses in Chinatown actually don’t have leases because the landlords never offer them one. Liu has moved so many times over the years that he couldn’t name every one of them. He remembers living in three places on Broome Street, the longest stay was seven years, and the shortest was two weeks. 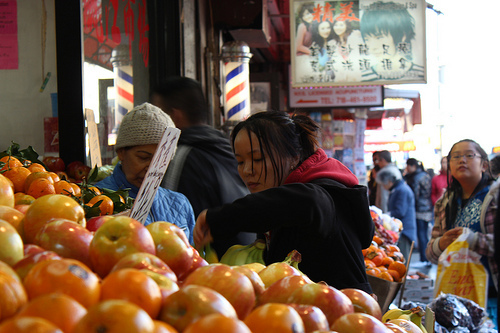 According to the Asian American Federation of New York Census Information Center’s research, almost one third of the Chinese in New York City live below the poverty line, many do not speak English and have never finished high school. This contributes to living conditions like at 81 Bowery. No private bathroom, no kitchen and no stove make daily life very hard in 81 Bowery. Liu only cooks once a day and saves the food in the tiny fridge for the rest of the day. Liu has lived in New York City for 17 years. He grew up in Southern China’s Fujian Province, which is where most Chinese migrants in New York are from. His son was the first one in the family who immigrated to America, followed by his two daughters. Liu and his ex wife, whom he divorced 35 years ago, were the last to come. He worked in a nail salon owned by a guy he knew back in Fujian, until five years ago. Now he has a green card, the government gives him $500 per month’s subsidy. Liu is proud of his families. “My biggest grandson is a college graduate,” he said. “He is an engineer and he makes decent money; unlike me, I’m illiterate, I never went to school.” However, Liu said he hadn’t talked to him for years, not even over the phone. Snakehead refers to the infamous Chinese gangsters in New York City who help people enter America illegally. Most of the money Jiang made over the years has been paid to his snakehead, so he has no savings. He lives in a cubicle by himself and pays $250 per month. Liu is moving out again in late February, to temporarily stay with his friend in Flushing, Queens before going back to China for a visit. He has no idea where to live when he comes back to New York.